Imagine you wanted to build a brick wall, but didn’t need to place the bricks one at a time. Instead, you could just drop the bricks into a pile, flip a switch, and watch the wall build itself. Ayyappanpillai Ajayaghosh studies molecular self-assembly – the process by which molecules come together on their own into larger structures and a field that stretches across several disciplines, connecting chemistry, biology, and materials science. In his time working on molecular self-assembly, Ajayaghosh has inspired an entire branch of scientific study within molecular self-assembly by creating a new category of self-assembled materials that are functionally soft. His work on this material has been summarized in a highly cited 2007 article in Accounts of Chemical Research. Ajayaghosh’s contributions have led to the use of these self-assembling molecules as building blocks to design larger molecular structures with a diverse range of shapes and sizes that can be controlled on tiny scales. He’s also found how their abilities to conduct electricity can be managed by controlling external factors such as temperature. These insights on molecular assemblies have helped scientists to design organic electronic devices and wide-ranging applications in light harvesting, sensing, imaging and security. For the past 15 years, Ajayaghosh has also studied organic molecules that give off light and conduct a limited amount of electricity. He’s also worked on scientific tools to help sense and image such molecules. 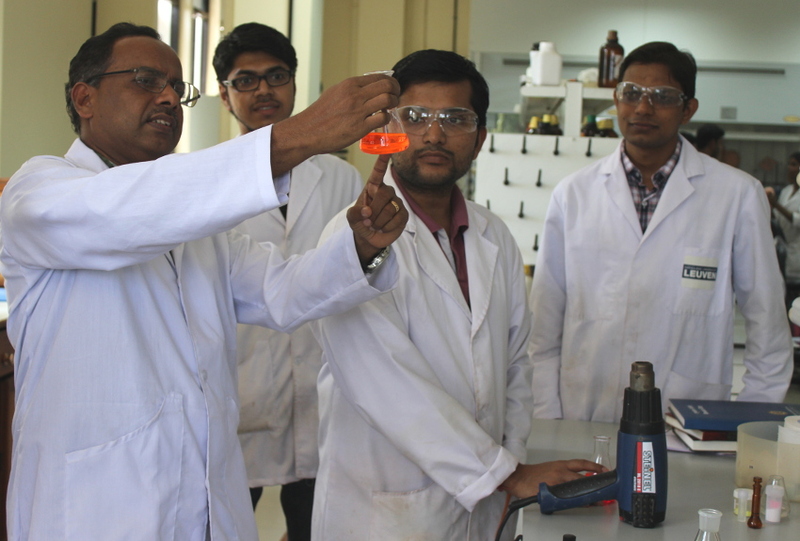 Ajayaghosh obtained his master’s and PhD degrees in chemistry from Calicut University, Kerala, India. He joined the National Institute for Interdisciplinary Science and Technology within the Council of Scientific & Industrial Research in Trivandrum as a scientist in 1988 and has since then pursued research in several interdisciplinary areas. He has received numerous prizes, such as the Thomson Reuters Research Excellence Award; he is a fellow of the three major Indian science academies and an editor for several journals, including Physical Chemistry Chemical Physics. He has given public lectures on the benefit of science to humankind; the impact of science in society, energy and environment; and the proper use of pesticides and plastics.